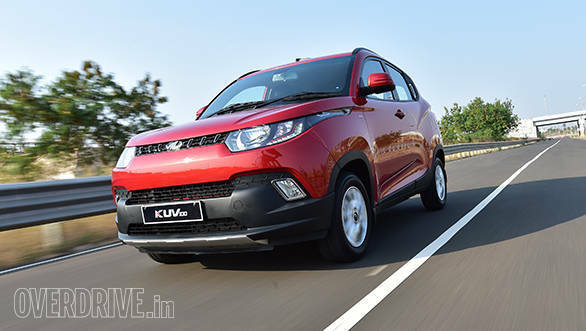 The Mahindra KUV100 (Kool Utility Vehicle One Double Oh) has just been launched with the range starting from Rs 4.45 lakh, ex-Delhi and is available in seven variants. The KUV100 happens to be the smallest SUV in Mahindra's portfolio. However, given its aggressive pricing, the KUV100 rivals the Maruti Suzuki Wagon R, Maruti Suzuki Celerio and the Hyundai Grand i10. Now, we have already compared all four cars in terms of their specifications, on paper. This time we have compared the top trims of all four rivals namely the Mahindra KUV100 K8, Hyundai Grand i10 Asta (O), Maruti Celerio ZXi MT (O) and the Maruti WagonR VXi (O). And the intention is to reveal which one offers the most kit for the money. The top trims of all four competitors come equipped with all the essential creature comforts like power steering, power windows, air-conditioning, central locking and keyless entry. The similarities don't just end there for all four also get a day/night interior rearview mirror and a rear windscreen washer with wiper and defogger. They even get electrically adjustable wing mirrors (the one's on the Grand i10 are electrically folding as well). Apart from the Wagon R, the other three get alloys too. Each one of them also get a four speaker audio system with radio and USB compatibility. However, the unit on the KUV100, Celerio and Grand i10 offers Bluetooth and Aux compatibility as well. The Hyundai Grand i10's head unit is the only one that offers a 1 GB internal memory as well. The steering wheel on all four is tilt adjustable which makes it a bit easier to find a comfortable driving position. The KUV100 K8, Grand i10 Asta and Celerio ZXi MT (O) also get a height adjustable driver's seat. They also get steering wheel mounted audio and Bluetooth controls which the Wagon R again misses out on. In terms of distinctive features, the top Mahindra KUV100 K8 trim is the only one that gets follow-me-home headlamps, daytime running lights and Mahindra's micro hybrid engine start/stop technology. Only the Grand i10 Asta (O) comes equipped with reverse parking sensors, leather wrapped steering wheel, push button start/stop and rear AC vents. The top KUV100 and Grand i10 trims get a cooled glovebox too. The KUV100 is also compatible with the BlueSense app from Mahindra, which helps you control audio and check important vehicle alerts on your phone. Other convenience features that the top KUV100 trim gets are the 12V power socket for the rear passengers and the mood-lighting placed in the door handles. On the safety front, the top Mahindra KUV100 K8, Hyundai Grand i10 Asta (O), Maruti Celerio ZXi MT (O) and the Maruti WagonR VXi (O) come equipped with airbags for the driver and front passenger along with ABS. The Mahindra KUV100 K8 petrol and diesel variants are priced at Rs 5.99 and Rs 6.84 lakh respectively (ex, Delhi). 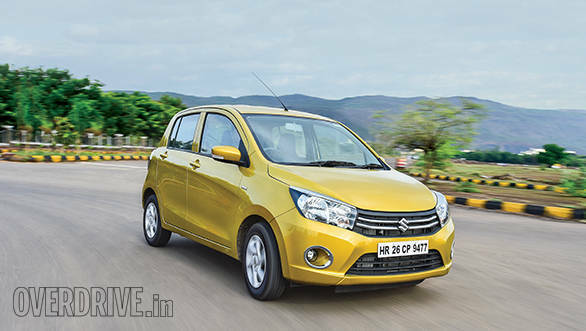 In comparison, the top Maruti Celerio ZXi petrol and diesel trims cost Rs 5.03 lakh and Rs 5.78 lakh respectively. 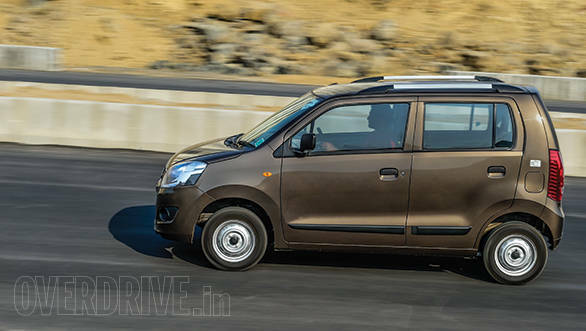 The Maruti Wagon R is available only with a petrol engine and the top VXi (O) trim costs Rs 4.60 lakh. 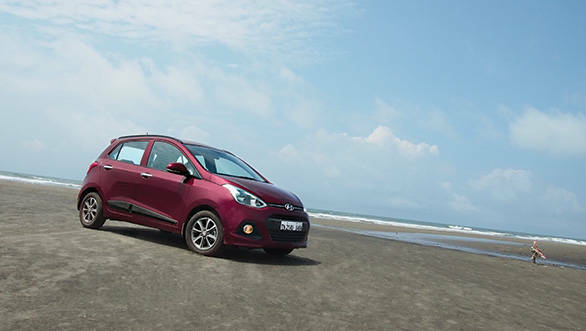 The Hyundai Grand i10 Asta (O) petrol trim retails for Rs 5.87 while the diesel one costs Rs 6.74 lakh. Want to read the actual comparison? Keep watching this space as we will be pitting all these cars soon.